Although almost everyone believes we are in an economic recovery, it behooves us to at least consider whether instead we are in a continuing Depression, as I have previously written. Beginning on June 22, 2009, I wrote a series of four blog posts that examined various aspects of our economic situation and whether we were in, or heading into, a Depression. Let’s assume, for a moment, that we are in a continuing Depression, as opposed to an economic recovery as almost everyone believes. How could virtually everyone be wrong on such a prominent issue? I believe the answer is complex and lengthy. However, there are at least three basic underpinnings of such a mistaken belief. First, judging the sustainability of economic strength after a steep economic decline seems challenging. During the 1930’s, there were many prominent people who believed that the Depression was over, only to have the economy relapse into further weakness. Second, since the late 1920s, this country has had very few periods of Depressions or prolonged recessions, as defined. Due to this lack of “experience,” it may be very difficult to discriminate between continual Depression characteristics, during which intermittent economic strength manifests, and that of a new economic recovery that follows a definite end of economic weakness. As well – and this is of critical importance – how should government, business and citizens act during a Depression? Needless to say, how these parties should act during a continual Depression will vary greatly as opposed to that of an economic recovery. Acting as if one is in a sustainable recovery, when in fact one is in a continuing Depression, would prove devastating. Third, as I have written of previously, do we, as a nation (and by extension the world) really understand our present economic environment? We, as a nation, failed (some examples are found here) to predict the severe economic weakness of late ’08 and early ’09. Was this failure a “one-time” event – i.e. a fluke not to worry about – or the early “innings” of what will prove to be a colossal, long-running economic misinterpretation? Before one can flippantly dismiss this concern – as I’m sure most will be tempted to do – one should heed the existence (often mentioned in this blog) of many negative “outliers” during this purported sustainable economic recovery. Perhaps most noticeable among these outliers is unemployment issues that are proving rather intractable. Of course, the hope is that we are avoiding a Depression. However, if we are actually in one, it would strongly behoove us to acknowledge such and act accordingly. This entry was posted in Depression and tagged current economic situation, Depression on June 29, 2010 by Ted Kavadas. A June 17 2010 Raghuram Rajan interview contained several interesting viewpoints. While I don’t necessarily agree with what he says in this interview, I found it to be well worth reading. This entry was posted in Uncategorized on June 28, 2010 by Ted Kavadas. On Wednesday (June 23) MacroMarkets released its June Home Price Expectations Survey results. As one can see from the above chart, the expectation is that not only has the residential real estate market hit a “bottom” as far as pricing; but that steady yet mild appreciation will occur through 2014. The survey detail is interesting. The most “bearish” of the forecasters is seen as Gary Shilling, with a forecast of 18.78% cumulative price decline through 2014. A couple of other forecasters are close to this forecast, including John Brynjolfsson, with a forecast of a 18.08% cumulative price decline through 2014; and Mark Hanson with -17.37%. Of note, all three of these most “bearish” forecasters see the preponderance of losses “front-loaded” (i.e. occurring over the nearest years, 2010-2012). For a variety of reasons, I believe that even these “most bearish” of forecasts will prove too optimistic in hindsight. Although an 18% decline is substantial, from a longer-term historical perspective such a decline is rather tame in light of the wild excesses that have occurred over the years. I have written extensively about the residential real estate situation. For a variety of reasons, it is exceedingly complex. While many people have an optimistic view at this time regarding future residential real estate pricing trends, in my opinion such a view is unsupported on an “all things considered” basis. Furthermore, there exists outsized potential for a price decline of severe magnitude, unfortunately. This entry was posted in Real Estate and tagged MacroMarkets, Real Estate, real estate bubble, residential real estate on June 25, 2010 by Ted Kavadas. I found this June 10 blog post, titled “The Chances of a ‘Double-Dip’ are Essentially Nil” by Macroeconomic Advisers to be notable. Some of my other thoughts on the idea of a “Double-Dip” scenario can be found at this March 8, 2010 post. 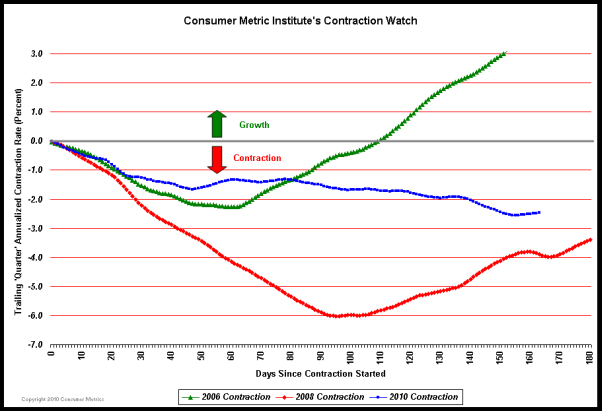 This entry was posted in Economic Forecasts and tagged "Double-Dip" recession, Macroeconomic Advisers on June 24, 2010 by Ted Kavadas. Saturday’s (June 19) Boston Globe contained an interview with Larry Summers on the state of the economy. This entry was posted in Economic Forecasts and tagged Economic Forecasts, Larry Summers on June 21, 2010 by Ted Kavadas. These figures represent the median value across the 40 forecasters on the survey’s panel. This entry was posted in Investor, Stock Market and tagged S&P500, Stock Market on June 18, 2010 by Ted Kavadas. 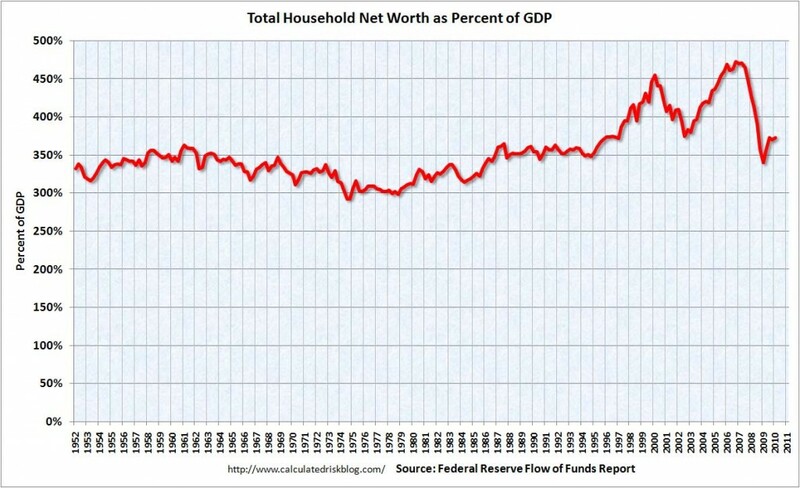 As seen on the chart, the Total Household Net Worth is making an upturn, but is significantly below the prior 2007 peak. This entry was posted in Uncategorized and tagged household net worth on June 17, 2010 by Ted Kavadas. The recent steep fall in the ECRI WLI has been widely commented upon. I’ve recently run across two items, an article and an interview, that I think are very notable with regard to interpreting the WLI. The first is an article ( “Is ECRI Growth Rate Index Signaling A Double Dip?”) that discusses the predictive history and interpretation of the WLI. The second is a June 11 CNBC interview of ECRI’s Lakshman Achuthan about the recent drop in the WLI and how he believes it should be interpreted. 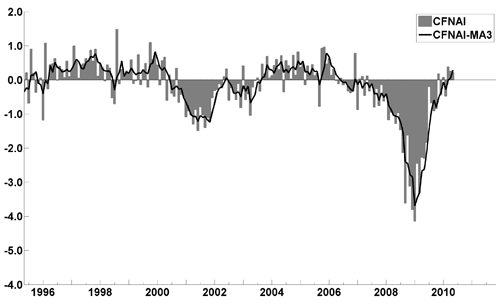 Although I indicate the level of the ECRI WLI on a monthly basis (“Updates On Economic Indicators”), my only previous commentary on ECRI and the ECRI WLI can be found at this post of July 15, 2009. 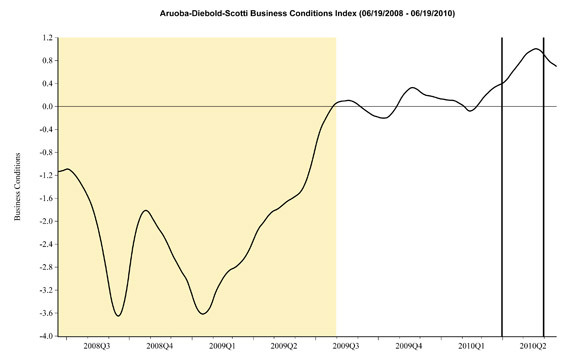 This entry was posted in Economic Forecasts and tagged commentary on ECRI, economic forecasting, economic indicators on June 16, 2010 by Ted Kavadas.